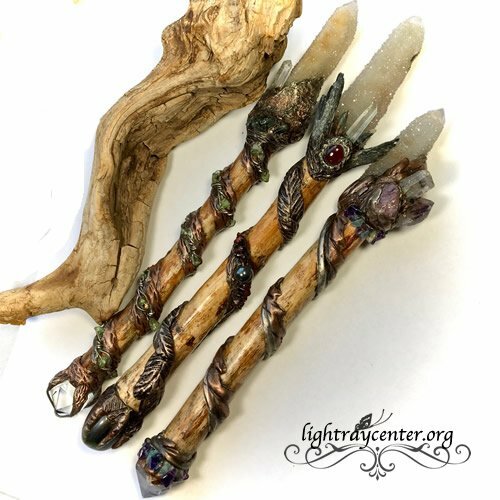 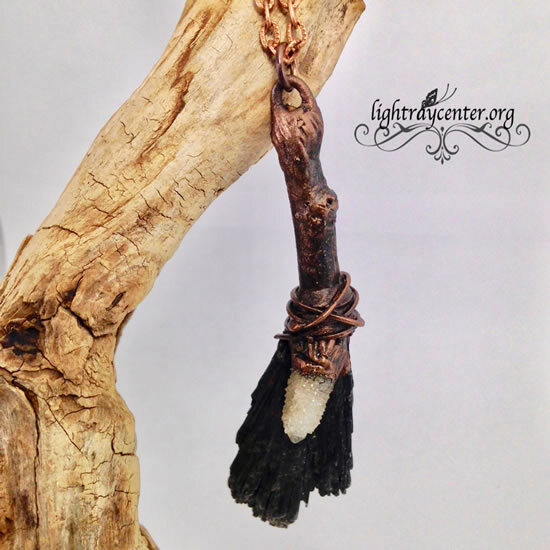 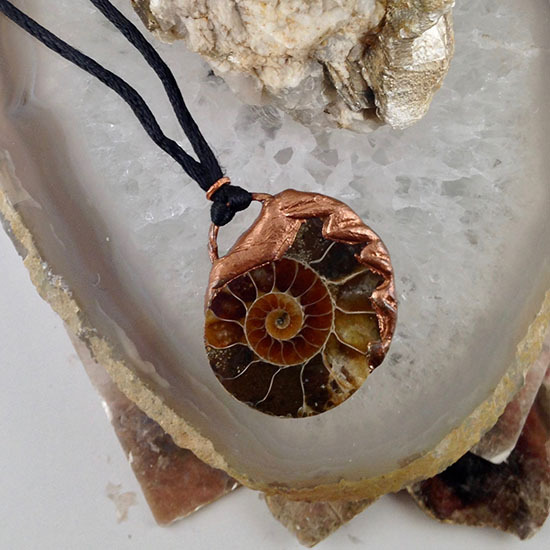 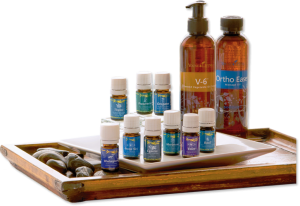 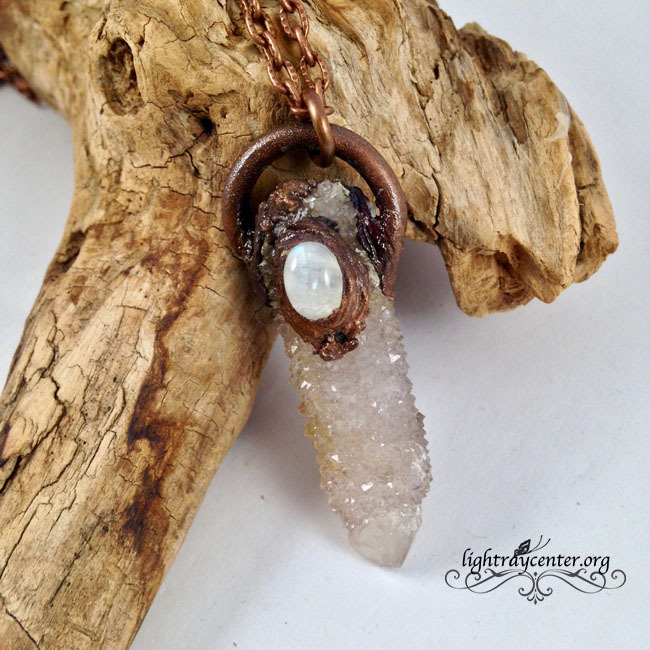 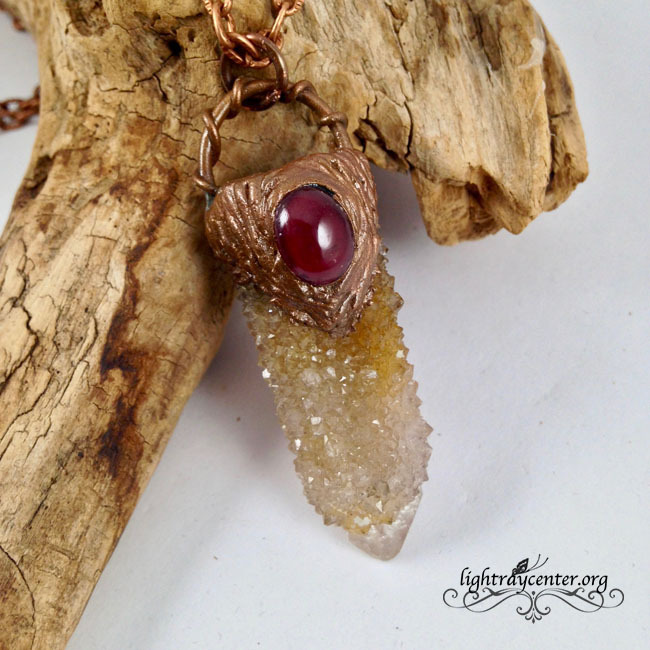 Each pendant has been blessed and infused with Holy Fire Reiki energy to empower and enhance the natural properties of the crystals. 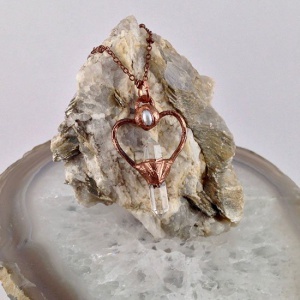 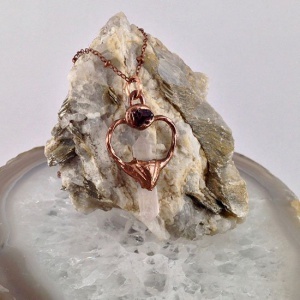 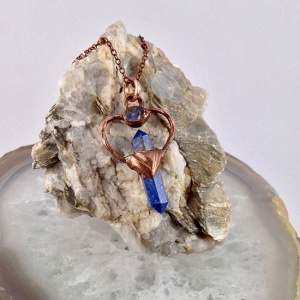 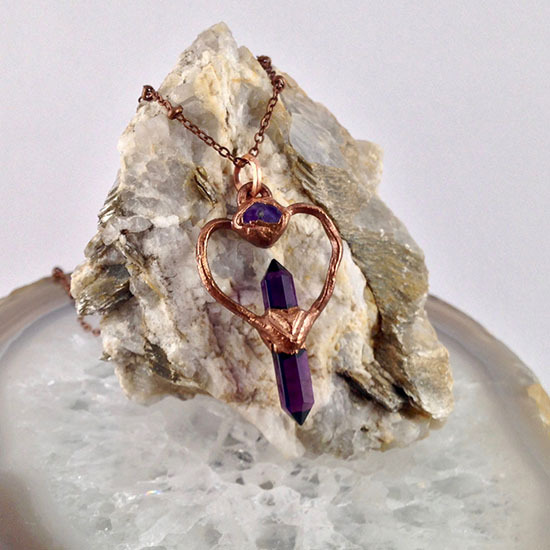 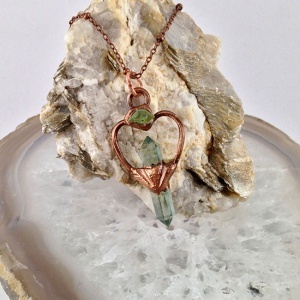 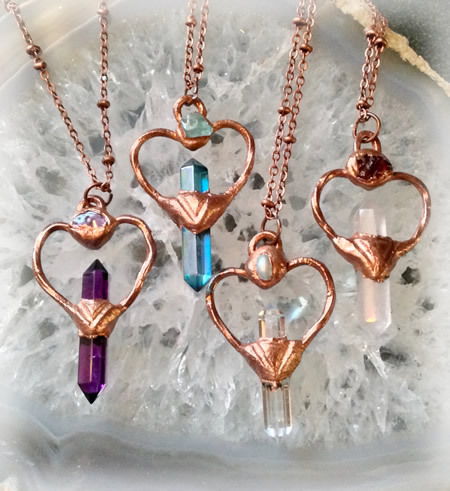 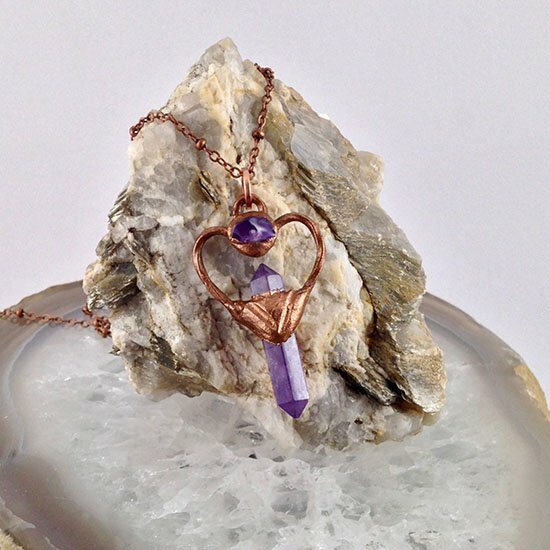 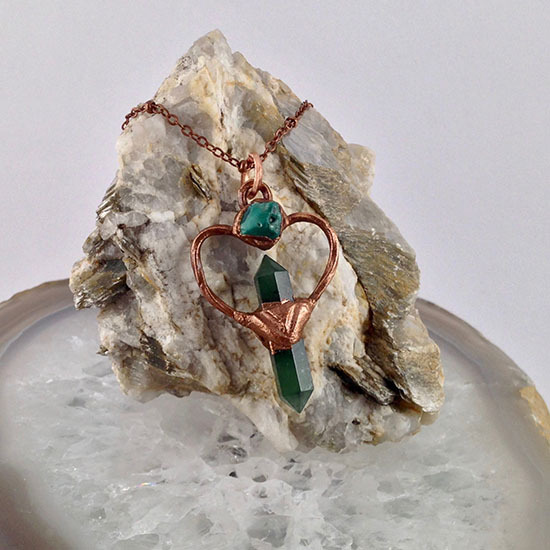 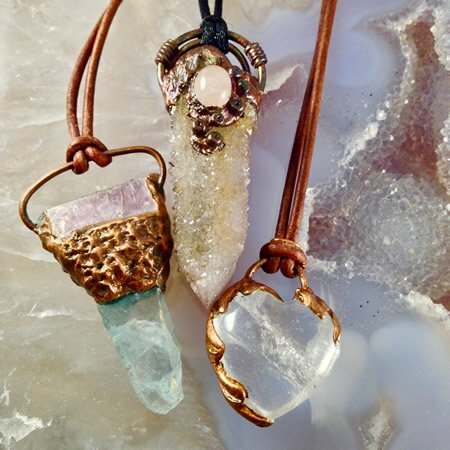 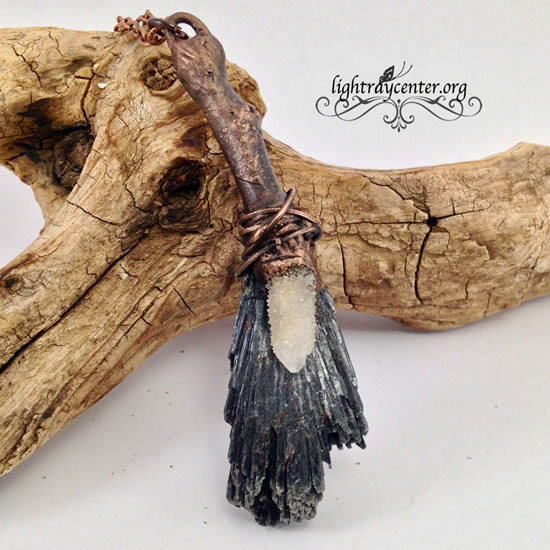 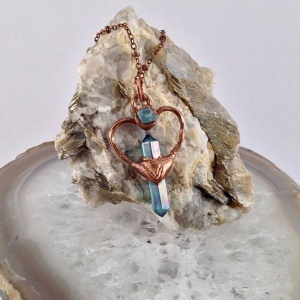 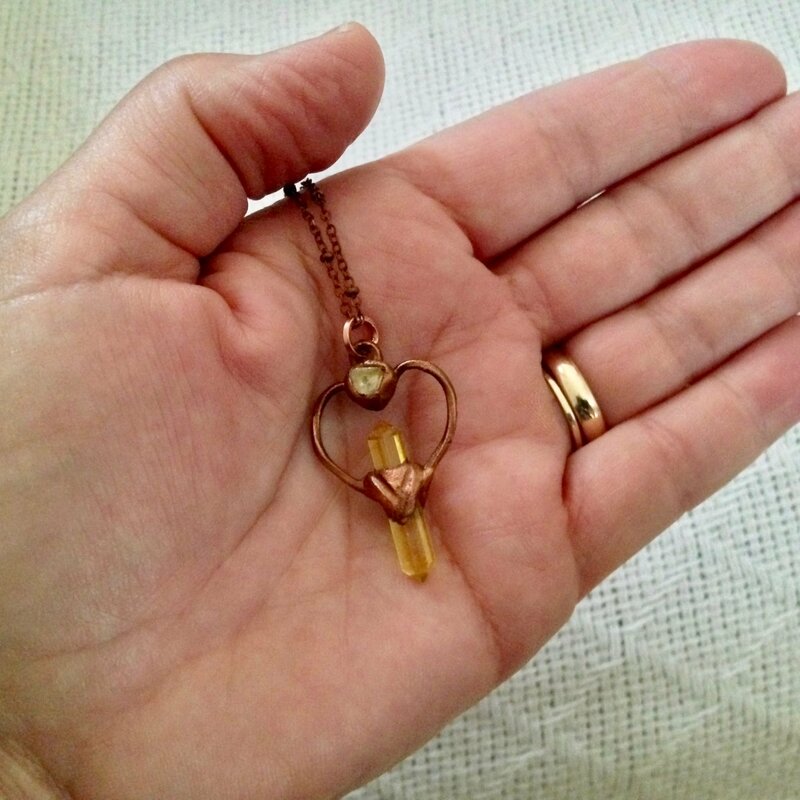 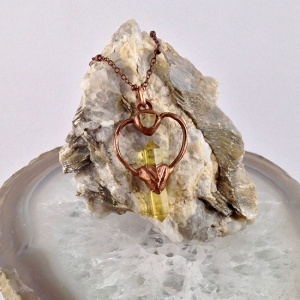 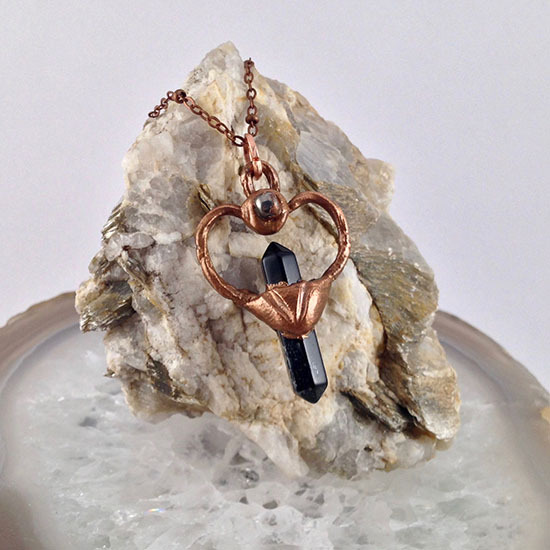 These handmade pendants are crafted from twisted copper wire formed into the shape of a heart and wrapped around a double terminated polished crystal point. 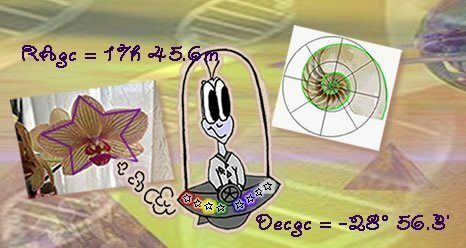 The pendants measure 1.5″ by 1″ and come on an 18 inch ball cooper chain.